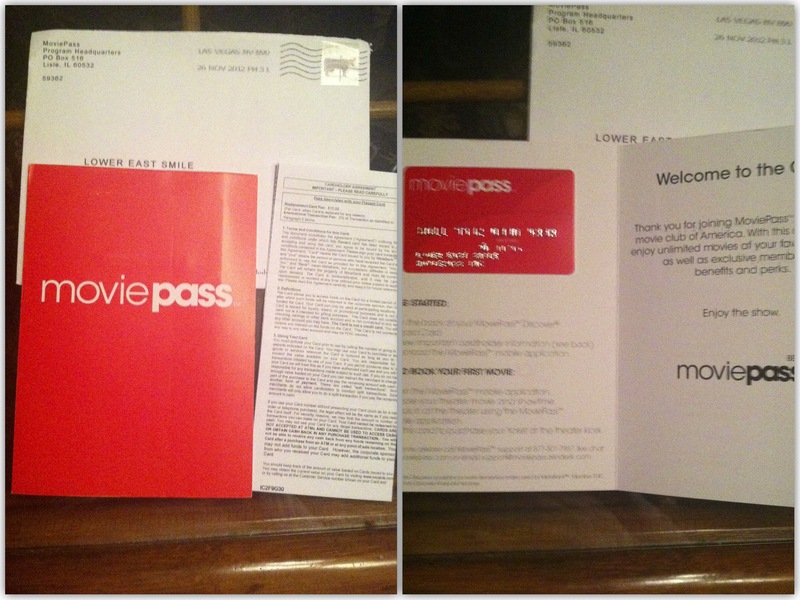 Once I signed up, it took about a week for my membership package to arrive, consisting of the MoviePass itself, which is a branded reloadable credit card, the bank’s terms and conditions for use of the card specifically (not the MoviePass service) and a flyer with instructions and restrictions on using the service. MoviePass‘ terms and conditions for use of the service are available on their website and can be reviewed before signing up. I thought I had saved a copy of the terms and conditions as they existed when I joined, but I didn’t. The current version of the terms and conditions on their site is undated. I saved this PDF version on November 20, 2013. In addition to the package I got in the mail, I also had to download and install the MoviePass app on my iPhone. There’s also an app for Android devices, however it seems support for Windows Mobile devices may be discontinued soon, if it hasn’t been already. Once the app was installed, I had to open it and link my MoviePass card to the device, a onetime task. You can only link your MoviePass to one mobile device. Now that I had everything set up, I was ready to see a movie. Well, not quite, because I have a life outside of media consumption; so I went the next night. I remember thinking, “Puerto Rico? Why did that come up? The last time I was in Puerto Rico, I didn’t even have my iPhone because there was no such thing.” My next thought was that at least I can use my MoviePass in Puerto Rico, but I could have a serious problem activating my card if my GPS is off by 2,500 miles. After using Apple Maps and Google Maps to verify that my GPS was in fact working correctly, I switched back to the MoviePass app and entered the zip code to search. Found a showing of The Sessions and headed over to the theater. When I got there, the theater had changed their schedule and The Sessions wasn’t playing. That wasn’t MoviePass‘ fault, I suppose. I have no idea how their backend operates, so I don’t know where they get their movie listings. In any case, theaters sometimes make last minute schedule changes. I decided to see Anna Karenina instead and the actual ticket purchase went smoothly. The app was able to determine my location and I checked in and bought the ticket at the kiosk with my MoviePass. 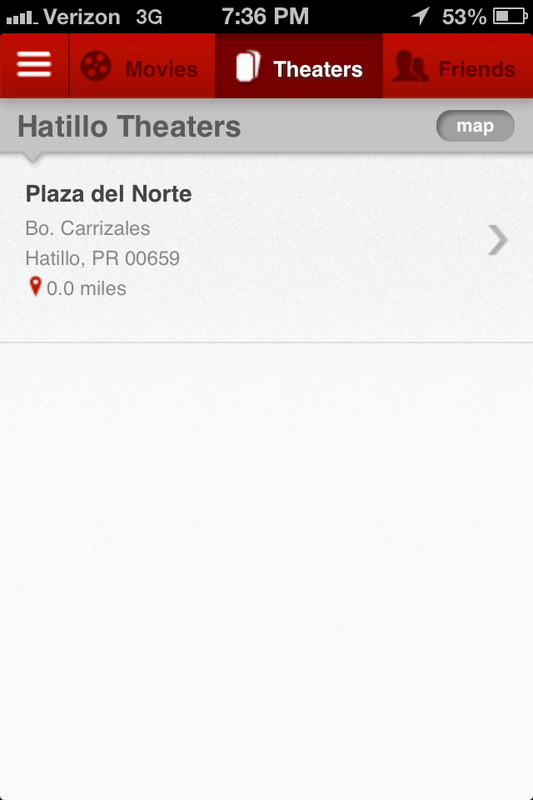 I never encountered either of these issues again, the erroneous location or movies listed that weren’t playing. Again, I don’t know how their backend operates, but the next time I used my MoviePass, I had a problem that I had to call customer service to resolve, and I was told there was a database upgrade going on. (More on that here.) I assume that resolved the problem. That’s not to say I never had another issue using my MoviePass. Sometimes a kiosk was out of service at the theater. On those occasions, if there wasn’t another kiosk available, I simply went to another theater, which is a viable option in New York City, but in a smaller town or suburban area, going to another theater may require a long drive, which isn’t very convenient. Over the next few months, most of the technical problems seemed to be ironed out. I used my MoviePass regularly to see a wide variety of movies. The limitations didn’t really present much of an issue, beyond the occasional sellout. If I could get to theater earlier in the day to buy a ticket for a later show time that I thought might sell out, I would. Occasionally I would have to get a ticket for a different show time due to a sellout, but that happened far less often than I expected. That will most likely change with the new Countdown Clock, since that limits the advance time you can buy a ticket.